To finish a project successfully, you need to meet all requirements and expectations of all key stakeholders. Your sponsor, client or customer is not the only person who can set critical requirements for a project. There are many persons and organizations that will influence and gain from your project. You need to manage them all from the start of a project. For some, you need to build relationships and engagement. Others you may need to isolate from the project and reduce their influence. In this book, I explain all processes, tools, and trick that will help you to identify and manage stakeholders on a project. It is a practical guide. What you will learn, you can implement on your project today. Get an action plan to identify all key stakeholders. Learn to Analyze Stakeholders to focus on crucial people. Create a strategy to build and maintain engagement with your project. Find out how to get through requirements and identify expectations. Master simple behavior concepts that will help you to influence people on the deeper level. Register for My PM Basics below to get access to my free book How to Manage Stakeholders Engagement in a Strategic Way. It is designed to make you proficient in Stakeholder Management. 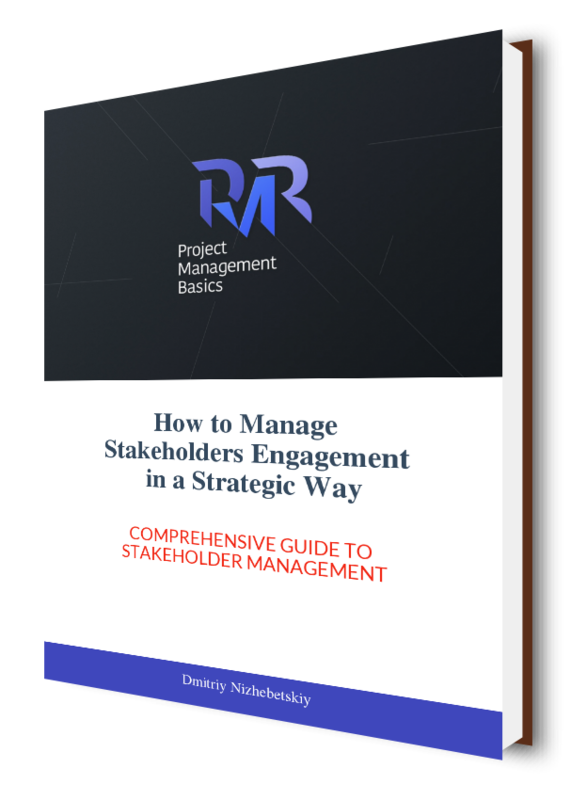 Manage Stakeholder Engagement to Deliver Projects on Time and Within Budget. Comprehensive Stakeholder Management helps you to identify 100% of project requirements, get the support of executives, find necessary expertise, and so much more. It is a critical knowledge area you need to master. Register for My PM Basics below to get access to the whole library. Including the "How to Manage Stakeholders Engagement in a Strategic Way" book. It will make you a better project manager.